Process Safety Boot Camp is CCPS’ flagship course based on CCPS’ Risk Based Process Safety (RBPS) Management approach, featured in the CCPS book Guidelines for Risk Based Process Safety. The Boot Camp covers the fundamental concepts of process safety, why effective process safety management systems are needed, and why process safety is important as an operating principle, not just as a regulatory requirement. The four pillars and twenty elements that define the RBPS approach are examined, which address design, construction, operations, and maintenance of an industrial process. Participants from the chemical, oil and gas, pharmaceutical, foods, metals, mining and other industries will gain the knowledge to improve process safety management practices and build and operate more effective process safety management systems that will fit your company’s needs and resources. Compliance is not enough. CCPS’ RBPS Approach exceeds regulatory requirements and focuses on the risk that is associated with each operation in order to, protect people, property, and the environment. This highly interactive, fast-paced course is taught by two process safety experts, each with 25+ years’ experience. Lecture, videos, case studies, discussion, and breakout sessions are featured. An incident (or example) is included with most elements to emphasize the importance of that element and the potential consequences of lacking or inadequate definition or implementation. For selected elements, a workshop, exercise, or discussion follows for participants to analyze the concepts presented and participate in group discussions to facilitate information sharing, understanding, and application of the materials. View a timed course outline and learning outcomes in the tabs below. See Process Safety Boot Camp in the News! Interested in taking this course outside of North America? Please register for the Foundations of Process Safety course. Steve has over 40 years of experience in the Chemical Industry along with several in the Food and Beverage Industry. He has worked in a number of roles including R&D, process technology, engineering, operations and process safety management. His most recent assignment was Global Process Safety Manager for Honeywell. At Honeywell, Steve held prior roles as the Director of Engineering for the Chemicals Division and the Director of Process Technology for uranium hexafluoride (UF6). John Herber joined CCPS in 2009 after a 33-year career with 3M Company that included positions in process and project engineering, production operations and corporate safety. In Corporate Safety Services, John developed programs for improving PSM systems across 3M’s global operations, including PSM metrics, Process Hazard Management policy and implementation guidance. As PSM consultant, John has performed audits, facilitated PHAs and assisted with PSM program development and training. John has a BS in Chemical Engineering from Purdue. Ellen Lenz has over 30 years of experience in the chemical industry holding positions in project management, research and development, process safety, and operations during her 22 years at Lyondellbasell Industries and 9 years at BASF Corporation. Ellen has expertise facilitating PHAs, developing process safety standards and guidelines, transferring process safety information across organizations, and EH&S auditing. John has over 40 years of experience in chemical manufacturing and process safety with jobs in the chemical industry, consulting and government. He is currently an independent consultant and retired from the U. S. Chemical Safety and Hazard Investigation Board where is was a lead investigator and the Dow Chemical Company where he was a leader in process safety. Frank Renshaw is a certified safety professional and certified industrial hygienist currently serving as an EHS consultant after 35 years with Dow Advanced Materials (formerly the Rohm and Haas Company). Bob is currently a Staff Consultant and Instructor for CCPS. Bob has over 15 years in chemical production management, five years in project and process engineering management and 20 years in the safety, health and environment area. From 1997 through 2003, he was the Director of Emergency Response and Issue Management for BASF Corporation in Mount Olive, NJ. Since 2003, Bob has done Occupational Safety, Process Safety and Emergency Response consulting. Prior to 1997, Bob worked for Merck, Polaroid, Story Chemical, and Polysar. Understand the four pillars and 20 different elements of risk based process safety. Understand the different types of process hazard analysis techniques including an introduction to HAZOP. Describe how process safety management should be used in coordination with process design and plant operations. 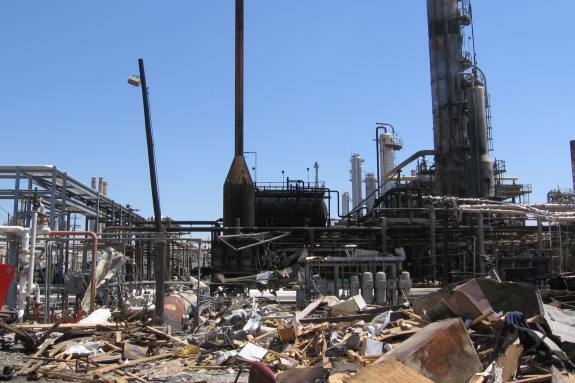 Understand OSHA's and the EPA's regulations impact on process safety. Explain the importance of inherently safer processes during plant design along with risk analysis and management. Analyze the concept of layers of protection to prevent and/or mitigate loss of containment events. Discuss the principles of Risk Analysis and Risk Management. Very resourceful. Enjoyed the class participation, case studies & exercises/workshops. - J. De Haro, Safety Manager, HASA Pool, Inc. This course exceeded my expectations. I am leaving this course with a good understanding of Best Practices of Risk Based Process Safety. I really enjoyed learning about how to create a positive process safety culture. Overall, the course was very informative, thorough in course material, and provided excellent video examples to drive the point home. It was fun!